Rune Cards are a great way to get in touch with your intuitive self. Buy a set of Rune Cards from The Game Crafter. Runes are an ancient form of storytelling. It is both an alphabet and a way of connecting with your intuitive self to help guide you on your journey through life. This deck of Rune Cards was 20 years in the making and features the artwork of Christopher Wiley. Let these Runes guide and inform your daily life. 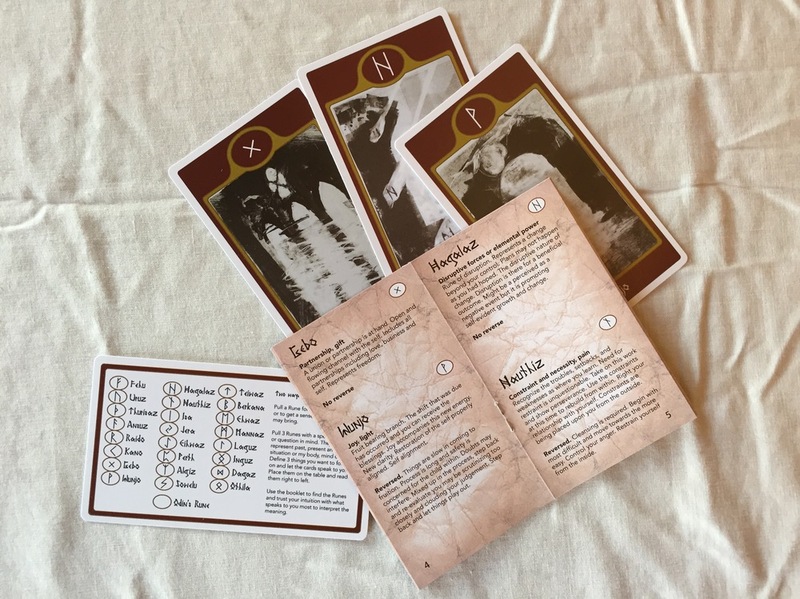 By drawing one or more rune cards and consulting the interpretations in the booklet, they may provide insight, point out signposts and guide you through the calm and chaos we experience in our daily lives. Runes may be drawn in the upright or reversed orientation, and may have slightly differing interpretations in those positions. Either way the message is one of growth and forward movement. Bring these ancient oracles into your life and make them yours. Each set of rune cards should be used by only one person. A personal connection is made between the user and the runes. Spend some time with them, and see what they can tell you.